Curriculum and enrolment. Style and manners of students. Lives of professors. Distrust of publication in Arts. Science departments, strengths and weaknesses. The Massey Commission and its effects. The 1953-4 row between president and Medical Faculty. The Law Faculty. Dentistry and its new building. Changes in the Board of Governors. "Dalhousie’s BA in the early 1950s was much the same as it had been for the past half-century. It retained its old emphasis on classics; two of the twenty classes had to be either Greek or Latin. Also required was one class in a modern language, two classes in English, one each in mathematics, science, and history 1, European civilization. The other twelve classes represented a creative curriculum designed to give the student a major subject, while offering three electives that allowed some rudimentary versatility. "It had not been all that different in 1904-5. 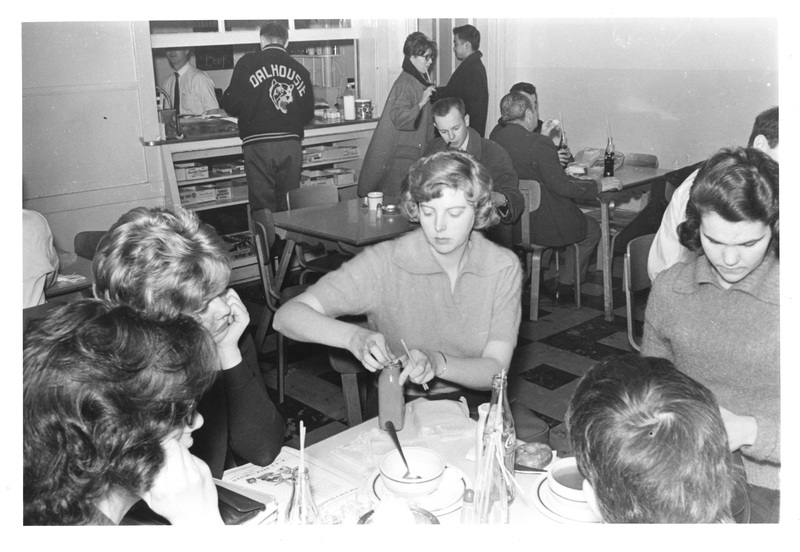 The Dalhousie student of the 1950s had a few more options, one year less of compulsory Latin or Greek, one year less of German or French. Many freshmen were now admitted to a three-year program with Grade 12, and an important course became English 2, C.L. Bennet’s Shakespeare and Milton, the campus common denominator. Even B.Sc. students could not escape that. Altogether it reflected an attitude that Principal W.A. Mackintosh of Queen’s described in 1951: 'One cannot master knowledge in general. One must master it in particular... It is well to know something about many things but only in mastery is higher education attained.' One difference between Queen’s and Dalhousie in these years was that the principal of Queen’s understood what first-class meant; President Kerr of Dalhousie really did not. Fortunately the professors at Dalhousie who did helped the university get past the sirens who sang of secretarial science and home economics, the dangers of which Kerr, with his love of numbers and enrolment, never really understood. "The curriculum of the early 1950s that had stood virtually unaltered for so long began to change in 1956. In April that year there was a general debate in the Faculty of Arts and Science about curriculum. Dean Wilson was concerned with strengthening standards, in English, French, history and other humanities disciplines. But what caused the most debate was a proposal from classics that, some said, went the other way: the abolition of compulsory Latin 2..."